Clients' needs have evolved greatly over the past 20 years, and those who evolve with them will earn their business. As millennial consumers increasingly become a considerable force in our economy, many firms and brand new markets have emerged solely to benefit this age group. Millennials will become a bigger part of the overall market as time goes on, both in online and offline consumption of products and services. This raises the question for advisors: How can we meet the demands of these 21st century clients in a way that is attractive to them and will let the advisor stand out? Clearly, the cookie-cutter approach of applying methods and strategies used on their parents will not work, and a new approach is required. When it comes to targeting the millennial age group (those born between 1981 and 1996), it’s imperative to first understand their tendencies and value system. The key differentiation in how millennials often make an investment decision these days is much less relationship-oriented than their predecessors in Generation X (those born between 1965 and 1980). Millennials are a lot more focused on hard statistics, scientific methods, historical trends and technology-focused ways to analyze and invest efficiently. In simple words, compared to those of older generations, they are much more likely to make an investment decision because they believe in the methodology and statistics, as opposed to having personal relationships with advisors. In contrast to their younger counterparts, Gen Xers take different things into account when making financial decisions or selecting who to trust with their money matters. 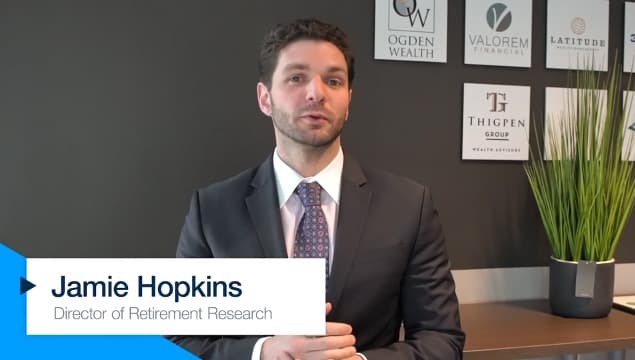 For example, working at a well-known firm, the number of years worked in the industry and age are all major factors Gen Xers consider when choosing an advisor. Millennials, on the other hand, are more comfortable investing in solutions provided by startups or lesser known brands. Millennials are perfectly happy going to fintech startups for Robinhood or Yield Street, for something as exotic as litigation financing as an alternative investment without ever seeing a representative in person. Their parents, however, are much more likely to trust going to a traditional bank such as Wells Fargo, or to historic names such as Edward Jones or Merrill Lynch, and meeting an advisor in person to build trust and determine if they like the advisor’s personality. It's a totally different ball game. With the above analysis in mind, here is the best way to market to the majority of millennials. Presenting millennials with rich resources, readily available online, is a good tactic, followed up with offering guidance as to which information is most crucial to read and understand. Guiding millennials toward educational information, important statistics and in-depth analysis reports will go a long way in gaining their trust. Guiding, instead of teaching, is the key to reaching millennials in the age of the internet, since there are very few secrets advisors can hold back when information is readily available online. This contrasts with Gen Xers, who came of age before the information age and relied heavily on advisors to give sound advice, as alternative sources of information were limited. Millennials have the opposite problem of having too much information online, much of which is either misleading, biased or, worse yet, just opinions disguised as facts. The millennial generation has shifted its attention from “who offers the most information," to “who can help filter out incorrect information." If an advisor gives a millennial an investment strategy and, at the same time, helps them avoid future misinformation or scams, that advisor will earn a client for life. In addition, understanding the role of technology and implementing it will help navigate the treacherous waters of information overflow. Today's advisor should be much more like a smart analyst that just happens to be able to communicate to a client, rather than a traditional salesman that can sell anything and just happens to be in the advisory business. Clients' needs have evolved greatly over the past 20 years, and those who evolve with them will earn their business. Nelson Lee is managing partner of PacWealth Solutions. Nelson may be contacted at nelson.lee@innfeedback.com.